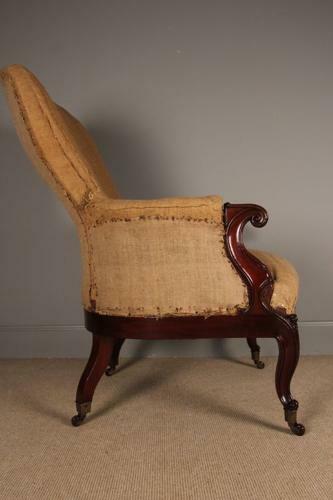 A shapely 19th century French Mahogany Chair, having great proportion and profile, high quality carving to the Mahogany, raised on the original brass and porcelain cup castors. Retaining the original horse hair stuffing and sprung seat - In excellent condition throughout, just in need to a new top coat. French, Circa 1870.